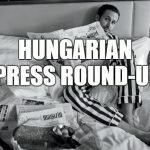 Hungarian Press Roundup: Europe’s Identity Is on Stake at the Upcoming EP Elections? A pro-government commentator and a left-wing analyst both think that the 2019 European Parliament election will determine the identity of Europe for a long time to come. 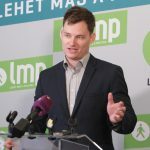 In Magyar Idők, Zoltán Kottász contends that the 2019 European Parliament election campaign will be the first EP election in which real European issues will dominate. While in the past, EP elections in all member states were determined by domestic issues, in 2019, EU voters will decide about the future and identity of Europe, the pro-government commentator suspects. Kottász predicts that the campaign will be fought between what he calls ‘globalist multculturalist parties’ led by French President Macron, and ‘forces which champion national sovereignty’ that oppose migration. Kottász thinks that PM Orbán’s anti-multiculturalist and anti-immigration vision are becoming increasingly popular in Europe. In Népszava, Balázs Böcskei also thinks that the 2019 EP election will be a competition between global and local elites. The left-wing political commentator writes that the inflow of migrants to Europe has created new political rifts in the continent. Böcskei suggests that liberal global elites have less interest in maintaining national sovereignty and nation state institutions, while local, populist national elites want to limit the impact of globalisation. In conclusion, Böcskei is confident that the European Union will prevail, even if nationalist parties win the 2019 EP election, although in a somewhat different format.